Shared religious beliefs prompt the Kingston sect to deliver supplies — via a 740-mile round trip — to their FLDS counterparts in Short Creek, Beaver and Huntington Canyon. 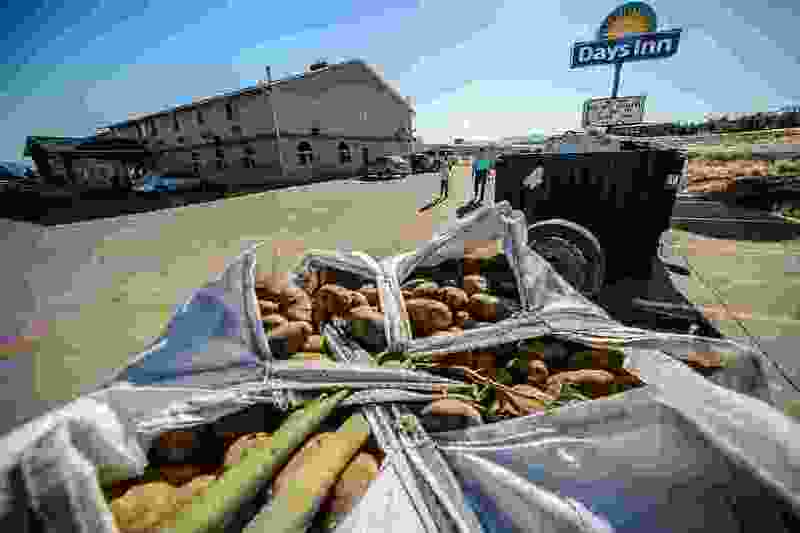 Trent Nelson | The Salt Lake Tribune Gabriel Owen and his daughter Kathrynn walk to their truck in a Hurricane hotel parking lot before delivering three tons of potatoes to members of the FLDS polygamous sect in Colorado City, Ariz., Saturday July 15, 2017. 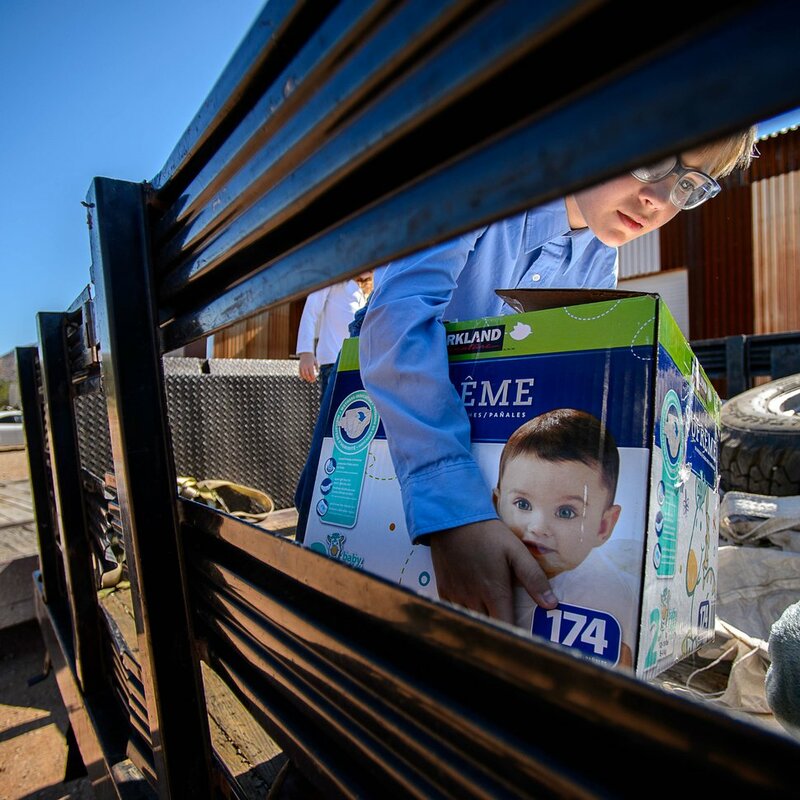 Owen and the Davis County Cooperative Society have been offering service and donations to needy FLDS members who were evicted from UEP homes in Hildale and Colorado City, Ariz. It was 8:35 a.m. on a Saturday when Gabriel Owen arrived here with three tons of potatoes and a ton of wheat. He steered the old Chevy pickup and the flatbed trailer it towed into the parking lot of Meadowayne Dairy — the last grocer here serving members of the polygamous Fundamentalist Church of Jesus Christ of Latter-Day Saints. But the commodities Owen hauled 300 miles from South Salt Lake weren't meant to be sold on shelves. The potatoes and wheat were donations to hungry people. Owen feels a kinship with those in need here, though he still is an outsider. 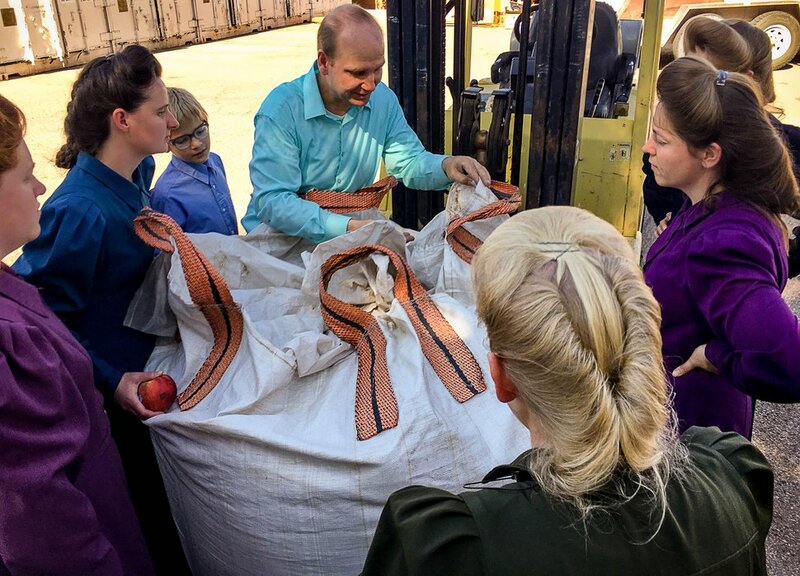 "Well, this has been exciting," a smiling Owen told about a half-dozen FLDS women, including the one who drove a forklift to unload the truck and trailer. The women didn't say anything. "I don't know all your names," Owen finished, "but I can tell you're grateful." Owen is a member of the Davis County Co-Operative Society — often referred to as the Kingston Group — which has some of the same fundamentalist beliefs as the FLDS. Since last spring, Co-Op members have provided food, housing and legal services to FLDS members who don't want to cooperate with the land trust that owns their longtime homes in Colorado City and adjacent Hildale, Utah, collectively known as Short Creek. The aid has created a new relationship between two large polygamous groups, which also are Utah's most infamous. The leaders of both groups frequently play the villains on the reality television show "Escaping Polygamy." When the Utah Legislature earlier this year increased the penalties for bigamy in some circumstances, lawmakers and witnesses referred to the FLDS and the Co-Op as organizations that have committed widespread abuses against women and children. But it isn't their shared practice of polygamy that has spurred Co-Op members to help the FLDS. The two groups believe in another fundamentalist tenet: the law of consecration. It's a belief that what you have — from the shirt or dress on your back to the home you live in — really belongs to God. That's why the FLDS won't work with their old land trust, which Utah seized in 2005. Members believe the state takeover desecrates their consecrations and that former FLDS members who serve as trustees and employees of the trust are apostates. Co-Op members like Owen sympathize with the FLDS members' stance. "When someone tries to do what God wants them to do," Owen says, "I respect that." Trying to help • Owen, 46, has been making food deliveries to Short Creek about every two or three weeks since late April. On a Friday night, after working all week as a construction project manager, he picks up two or three of his nine children and a load of donations and heads south. On this particular trip, the children are 10-year-old Ammon and 8-year-old Kathrynn. 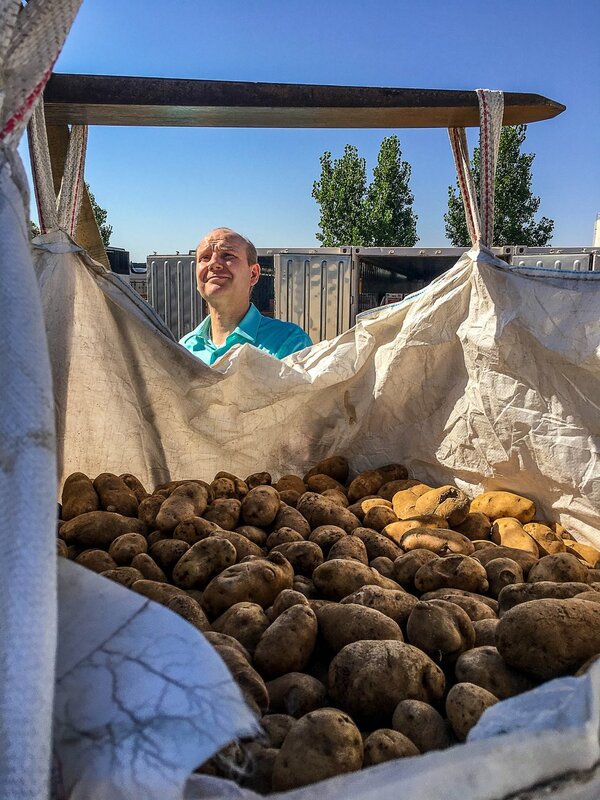 The potatoes and wheat were donated by Co-Op farms in Idaho. The farms arranged for delivery to Standard Restaurant Supply, another Co-Op business in South Salt Lake. The potato farm loaned Owen the trailer and Standard Restaurant Supply let him use its pickup truck to haul the food. The Co-Op reimburses Owen for fuel for the truck and at least one of the nights that he and the children stay in a motel, he said. Owen turned onto Interstate 15 about 6:30 p.m. About five hours later, he arrived at a motel in Hurricane, where he and the children spent the night. 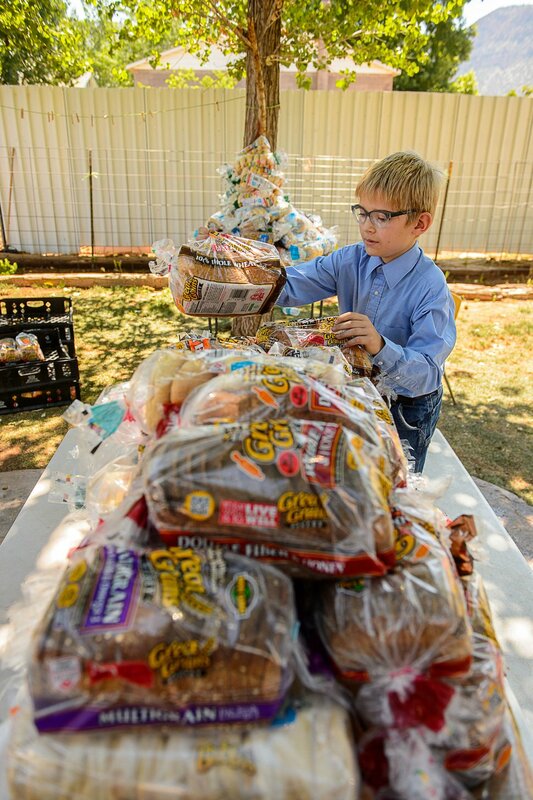 After dropping off the potatoes and wheat in Short Creek, Owen's next stop was at a neighboring community to pick up loaves of bread and bags of bagels and English muffins to take to FLDS members. Ammon and Kathrynn helped Owen load crates of baked goods into the bed of the pickup. Owen also picked up an electric blanket. Temperatures in Short Creek would reach 102 degrees that day, and the blanket wasn't for anyone there. Owen put it in the bed of the truck for later. Owen asked The Salt Lake Tribune not to specify where the baked goods and some of the other donations came from. Publicizing their origins could cause problems up or down his supply chain, he explained. Some donors don't want to be associated with the FLDS and some FLDS members don't want to associate with the donors. Although he is sympathetic to the FLDS members' view of their old land trust, called the United Effort Plan, or UEP, Owen is careful not to take any sides in the dispute. He understands how all sides arrived at this point — how then-Utah Attorney General Mark Shurtleff was concerned FLDS President Warren Jeffs was mismanaging the trust and using it to further his crimes, how the takeover was later affirmed by the courts, and how the people now managing the UEP have offered to let FLDS members stay in the homes as long as they keep the property taxes up to date and sign agreements to that effect. For that matter, Owen acknowledges the argument that aiding the FLDS members only encourages them to continue following Jeffs, who is serving a sentence of life plus 20 years in a Texas prison for crimes related to sexually abusing two underage girls he married as plural wives. But when Owen has met and spoken to FLDS members in Short Creek, he has simply found people who are hungry. Alleviating that hunger is his priority. Owen finds himself encouraging others who want to do the same. At the place where he picked up the baked goods, Owen thanked the woman who facilitated the donation. "I actually feel like we don't do enough," she said. "I think you do great," Owen replied. Owen, Ammon and Kathrynn delivered the baked goods to a backyard. The FLDS woman who lives in the home called Owen's phone and said she was feeling ill and didn't want to come outside. She lives with several family members, who also stayed inside. Owen wasn't surprised. He said the FLDS are usually shy around him. He and the children stacked the food on top of a folding table and a picnic table and left. After the flood • How Owen got the FLDS to trust him at all is its own story. The Co-Op and the FLDS can trace their origins to so-called Mormon fundamentalist movements of the 1920s and '30s. The men who founded both organizations believed in polygamy, consecration and other teachings they credit to LDS founder Joseph Smith. There was even some polygamous intermarriage between the families who later became part of the FLDS and the Co-Op. While the families that eventually became the FLDS moved to the Utah-Arizona line, the Co-Op was formed in Davis County and remains centered on the Wasatch Front. On Sept. 14, 2015, flash floods swept through southwest Utah and northwest Arizona, killing 21 people in all. Thirteen of those deaths occurred in Hildale. Hours after news of the floods spread, Co-Op members began calling Owen offering to help. Owen had no experience in disaster relief. As he explains it, Co-Op members are accustomed to calling other members who have whatever skill is needed at the moment. As a construction manager, Owen is used to organizing people and supplies. So members called him to organize help for Short Creek. Four days after the floods, Owen and 234 men from the Co-Op were in Short Creek. They used hand tools and equipment they brought with them to dig mud and sand that had caked and clogged Short Creek's culverts, many of which were 5 feet in diameter. With each shovelful, the volunteers watched for signs of Tyson Black, the 6-year-old boy whose body has never been found. At one point, the volunteers also were asked to cut down weeds that had overgrown in parts of Short Creek. The local man who was helping guide the volunteers instructed them to remove weeds that had grown along the road and to continue up a driveway to a house. Owen could see FLDS members living in the home. When asked if they should consult the occupants before entering the property, their handler said no. The man was a former FLDS follower now working with the UEP, and he said the UEP planned to serve an eviction on the home soon. That didn't sit well with Owen. He went to the command post at the fire station, found someone he presumed to be an FLDS member and told him about the instructions he had received. 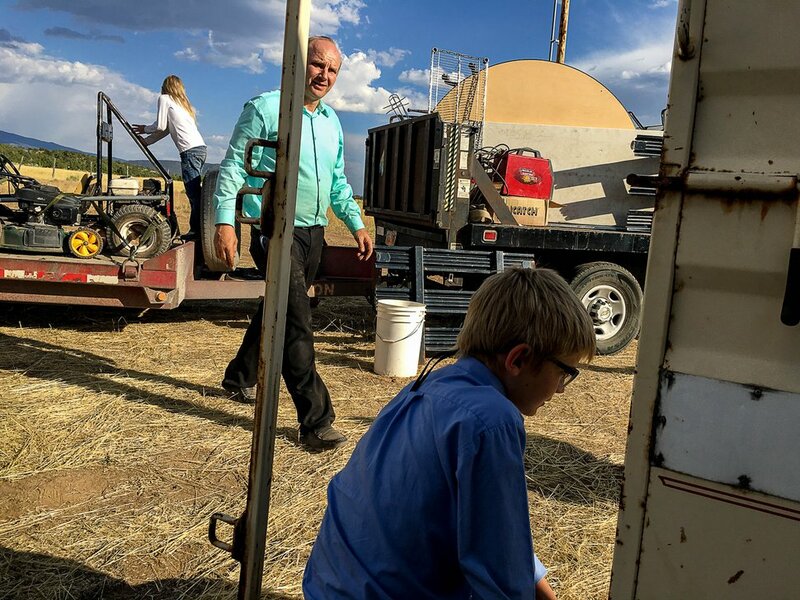 Owen soon was connected to Colorado City Mayor Joseph Allred, an FLDS member, who thanked him for not entering the property and told Owen how the volunteers might be more useful. Then, earlier this year, some FLDS members contacted Owen's sister, attorney Laura Fuller, looking for legal help to stop the evictions in Short Creek. Fuller, in an email last week to The Tribune, explained that the more she listened to FLDS members, the more she realized they needed humanitarian help. Donations began as one-time offering • In April, Fuller and Owen went to Short Creek for a history symposium. Fuller planned to meet with some FLDS members and offer legal advice while she was there. She and her brother also took a load of donated food. It was meant to be a one-time offering. "But when we got down there and saw the reality of how they were living," Fuller wrote in an email, "and we had such a positive response to our assistance, we realized that [food] was the greatest need." 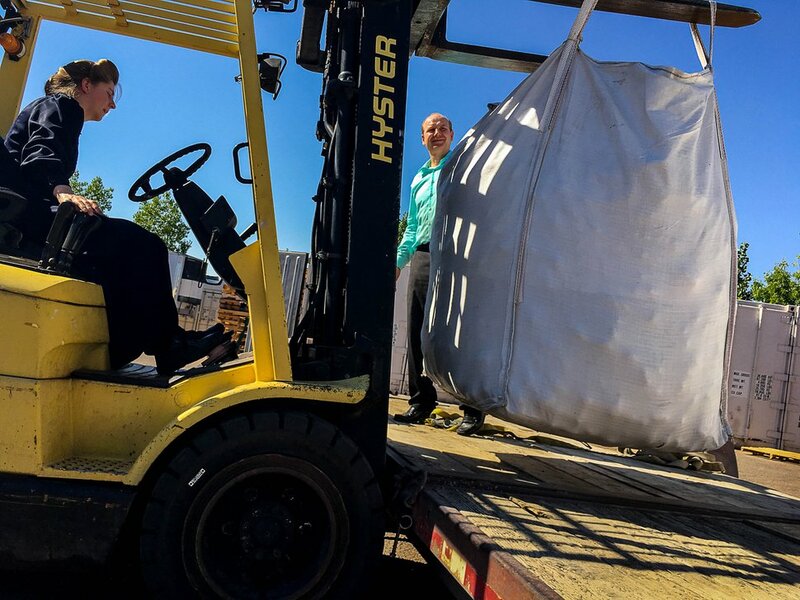 Owen and Fuller sought out Allred to arrange future deliveries and ensure that those shipments wouldn't put anyone at odds with FLDS leadership. FLDS members don't associate with nonmembers and they especially don't associate with apostates. Allred told Owen he didn't qualify as an apostate since he had never been offered and rejected the true gospel of Jesus Christ. As for not being an FLDS member, Owen had more in common with them than most nonmembers, and the FLDS appreciated the help. "I treat them as I like to be treated," Owen explains. "And it just so happens that's how they wanted to be treated." 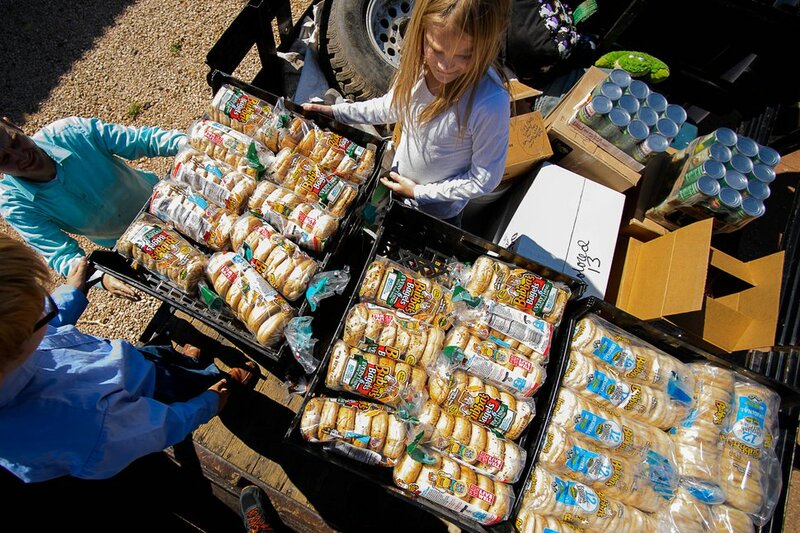 After dropping off the bread, the muffins and the bagels, Owen drove the truck and trailer to Christine Marie Katas' apartment in Hildale. Katas moved to Short Creek last year to help former and current FLDS members. Providing that help has been difficult. FLDS members told The Tribune earlier this year that their leaders have left Short Creek. So have many of the sect's more affluent members. "When I have something I need and I can't find any other help for the FLDS," Katas said, "I call Gabe." On this trip to Short Creek, Katas arranged for Owen to meet with an FLDS woman whose husband had left the church and divorced her. They are still in a custody dispute over some of her 11 children. Owen and the woman went to an adjacent apartment being used as a storage room. Owen called Fuller, put her on his cellphone's speaker and let her and the FLDS member talk about the custody case. Ammon and Kathrynn played outside with some of the neighbor's goats. After about two hours at Katas' home, Owen and the children bought some lunch at a grocery store, then went and picked up another load of donations. 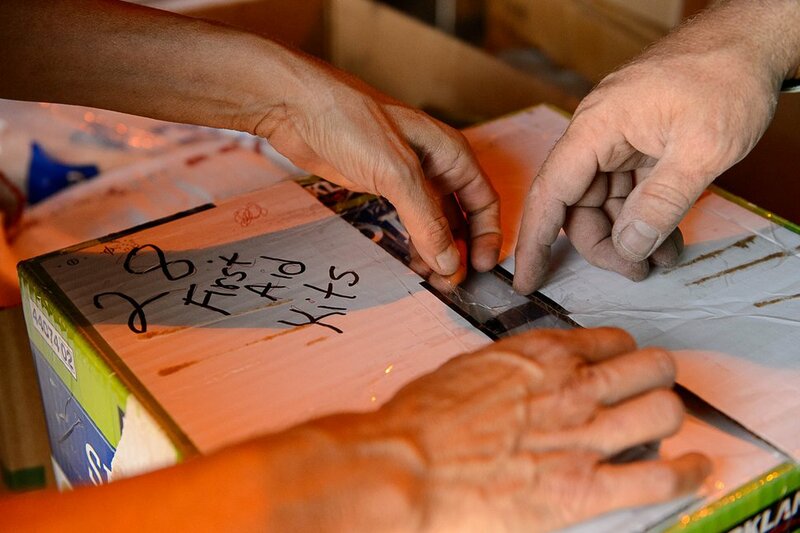 This time, it was a few armfuls of hygiene kits — toothbrushes and toothpaste, soap, shampoo, wet wipes and feminine napkins — and shoes. Owen skipped the toys and board games. He has learned that the FLDS members don't want those. 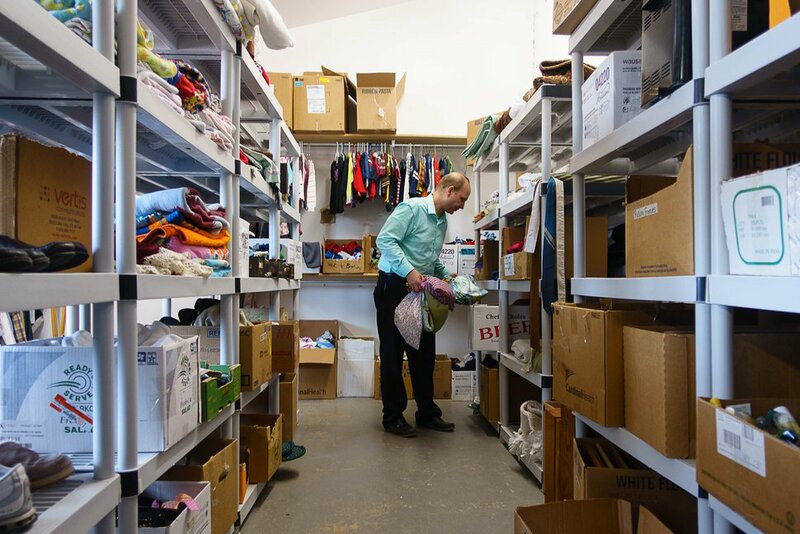 The couple running the donation center were glad to assist Owen, though they expressed frustrations with FLDS members. "You try to be nice to them, and they give you the finger," a woman in the donation center said. Owen lowered his eyes and didn't say anything. He has a policy of not judging others, and he doesn't want to get in the middle of the social disputes in and around Short Creek. Owen and the children dropped off the kits and shoes in the same backyard where they had delivered the baked goods. 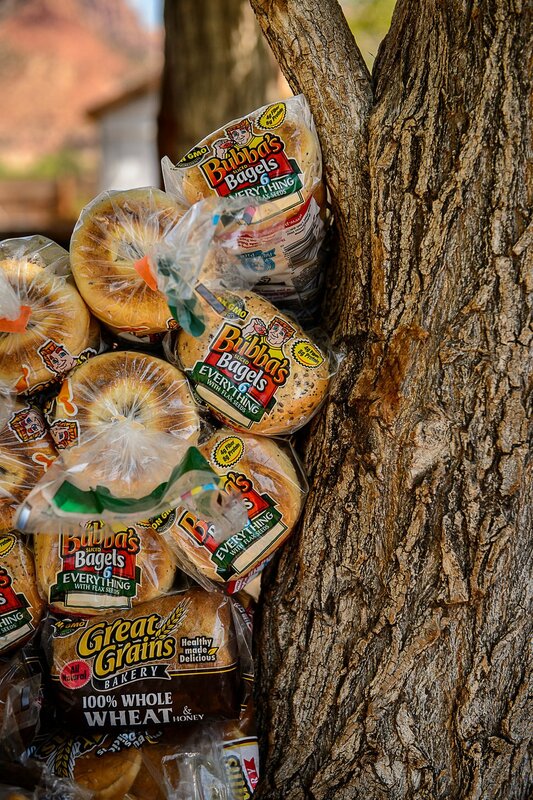 All the bread, bagels and English muffins they had stacked on the tables about four hours earlier were gone. It was time for Owen to start working his way back to South Salt Lake — slowly. Up the canyon • A few weeks earlier, Owen had helped an FLDS woman move out of Short Creek to some Co-Op-owned homes near Huntington. But he hadn't been able to move all of the woman's belongings, and what was left had been taken by other FLDS to a house outside Beaver. About 6 p.m., Owen took the exit to Beaver and pulled up to a house on Last Chance Road. An FLDS woman there explained she had recently bought the house and 14 people were living there, plus some horses in a corral. The belongings Owen was picking up were being stored in and around an old horse trailer. 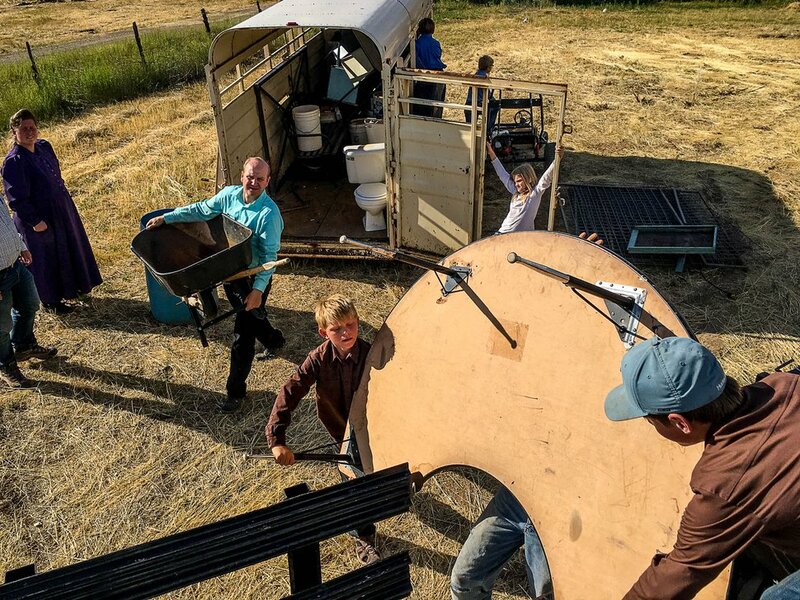 Owen, Ammon, Kathrynn and some FLDS boys loaded an old go-kart, a park bench, school desks, chairs, an art table and gratings that looked like they had once been part of livestock fencing onto the beds of the truck and flatbed trailer. Owen and his children spent Saturday night at a motel in Richfield. On Sunday morning, they resumed the drive to Huntington. On the way, the owner of the flatbed trailer called Owen. The trailer needed to be returned to northeast Idaho. Owen told the man he would try to be back in South Salt Lake by noon to unhitch the trailer and let someone drive it the rest of the way to Idaho. The Co-Op used to operate a coal mine in Huntington Canyon, just outside the town. Owen's dad was the steward — the Co-Op term for the person placed in charge — of the mining operations. Owen grew up in Salt Lake County but spent summers in the same canyon where he has helped the FLDS members move. The Co-Op is renting four homes in the canyon to the FLDS, Owen explained. One house in poor shape rents for just $150 a month. It was late morning when Owen drove up Huntington Canyon, and then into the side canyon where the FLDS are living. The road up the side canyon is dirt, gravel, bumpy and narrow. Owen decided to unhitch the trailer near the mouth and drive the rest of the way in only the pickup. The FLDS woman whom Owen had helped to move greeted him when he arrived. There was a girl, about 7 years old, with her. The boys living with her had just left for a hike, she said. Owen, with help from his children, began finishing the job he started a few weeks earlier and unloaded the woman's possessions from the truck. There was a little chitchat between Owen and the woman, but not much. "I thought you might need this," Owen said, as he handed the woman the electric blanket. The homes in the canyon sit at 7,000 feet, and it gets cold at night. Then Owen, Ammon, Kathrynn and the FLDS woman and girl went back down the canyon and unloaded the trailer. They put the go-kart, park bench and gratings on the side of the road for the woman and her boys to later haul up to the house. Owen hitched the trailer to the truck again and said his goodbyes. "We'll see you later," Owen told the woman. By the time he returned to Standard Restaurant Supply, he had driven about 740 miles. 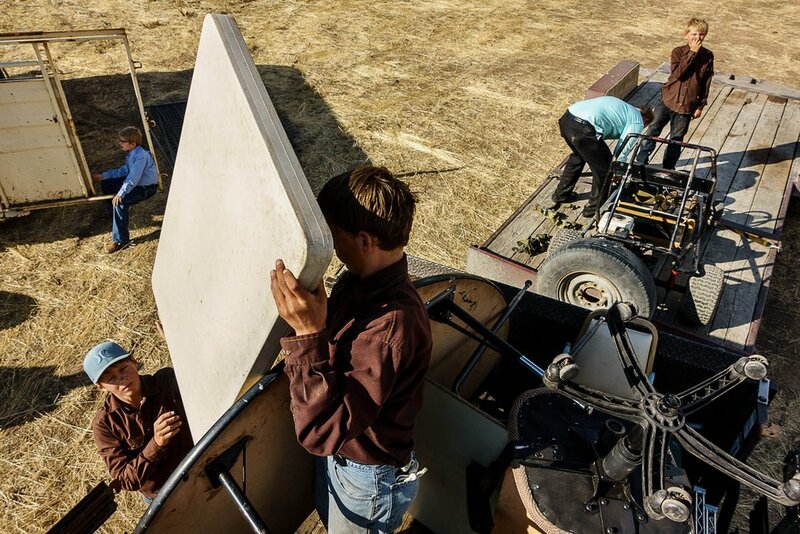 Trent Nelson | The Salt Lake Tribune Gabriel Owen, center, helps load a truck and trailer for members of the FLDS polygamous sect living outside of Beaver, Saturday July 15, 2017. 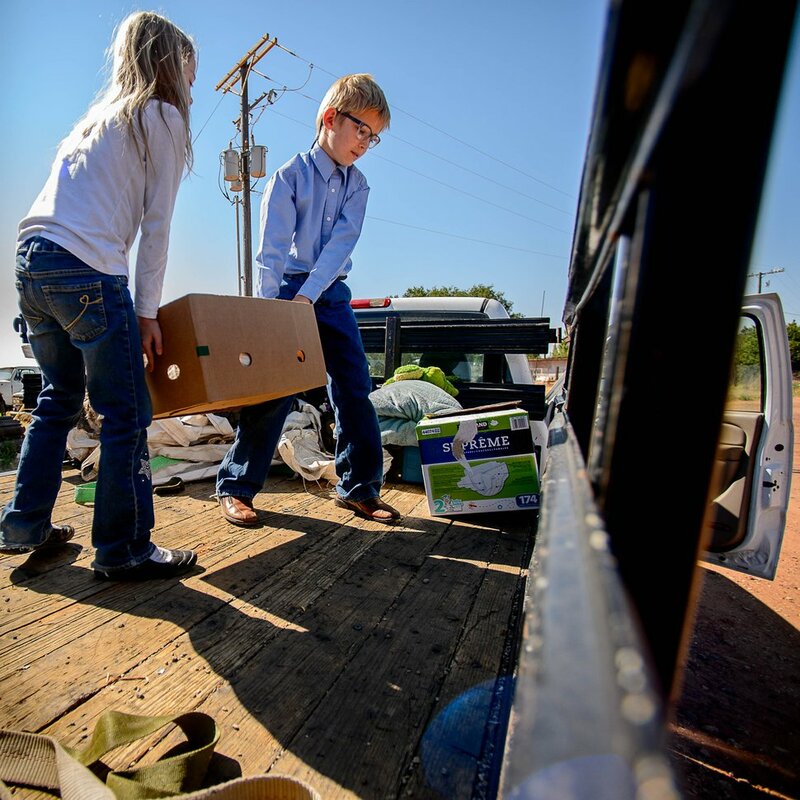 Owen and the Davis County Cooperative Society have been offering service and donations to needy FLDS members who were evicted from UEP homes in Hildale and Colorado City, Ariz. Owen's children Kathrynn and Ammon are at left and right. 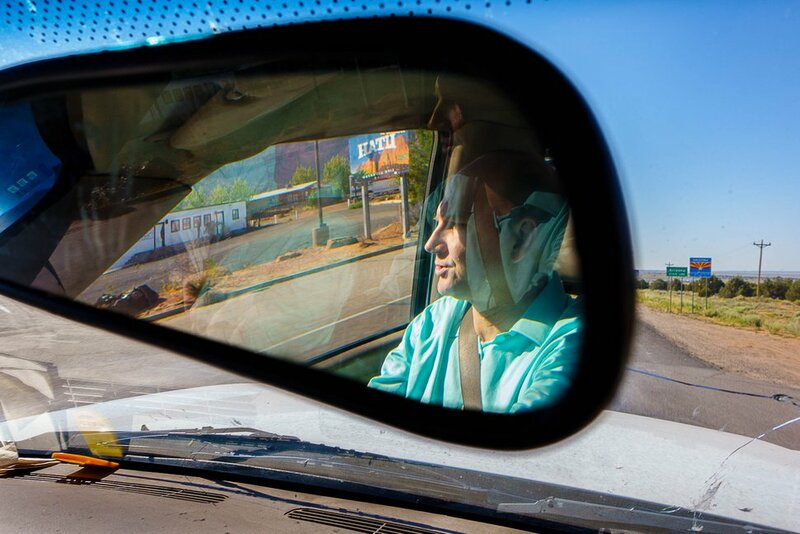 Trent Nelson | The Salt Lake Tribune Gabriel Owen crosses the Utah-Arizona state line on his way to deliver three tons of potatoes to members of the FLDS polygamous sect in Colorado City, Ariz., Saturday July 15, 2017. Owen and the Davis County Cooperative Society have been offering service and donations to needy FLDS members who were evicted from UEP homes in Hildale and Colorado City, Ariz.